Rose Lodge near Aller, Langport, Somerset sleeps 4 people. Rose Lodge near Aller is set in a rural position with outstanding views across the Somerset Levels; Rose Lodge is set within the owners’ grounds, near the village of Aller, and lies 1½ miles from the artisan town of Langport. It has been lovingly converted from a former caravan with cedar cladding and double glazing. After a day spent exploring this beautiful part of the country, you can relax in the inviting hot tub and unwind whilst savouring the outstanding 180-degree view across the Somerset Levels. There are lovely country walks over rural footpaths straight from the door, fishing, golf and quaint village pubs nearby. Within easy driving distance are many historic houses such as Muchelney Abbey, Forde Abbey, and National Trust’s Montacute House and Tintinhull House. The Somerset Levels, with their abundance of wildlife and nature reserves, are on the doorstep, or you can explore the many other places of interest. Try some retail therapy at the shopping outlet of Clarks Village; discover Glastonbury with its enchanting tor and abbey; or drive on to the cathedral city of Wells with its Bishops Palace and character shops. Further afield, the Roman spa town of Bath is well worth a visit, as well as the county town of Taunton, and further on, the Quantock Hills and Exmoor National Park. If you have time, spend a day or two in west Dorset and explore the famous World Heritage Jurassic Coast. You will have much to do for a fulfilling holiday. The beach is 22 miles from Rose Lodge near Aller. With the shop 1½ miles, and the pub & restaurant are 1 mile from Rose Lodge. 15 steps to entrance. Rose Lodge near Aller is all on the ground floor. Living area: With wood burner and Freeview TV. Kitchen area: With gas cooker, microwave and fridge/freezer. Bedroom 2: With 4ft double bed (can be 2ft twin beds on request). Electric central heating, gas, electricity, bed linen, towels and Wi-Fi included. Initial logs for wood burner included, remainder at cost. Utility room with washing machine (shared with owners). Small lawned garden with sitting-out area and garden furniture. Hot tub for 6 (private). Private parking for 2 cars. No smoking. Please note: There is an unfenced pond in the garden. Holidays at Rose Lodge run from Friday to Friday. Pets allowed at Rose Lodge. For a better idea of where Rose Lodge is, you can see Rose Lodge on the map below. Rose Lodge is in Somerset; should you be on the lookout for a special offer, you can find all the special offers in Somerset. It's always worth checking to see what is on offer at the moment. 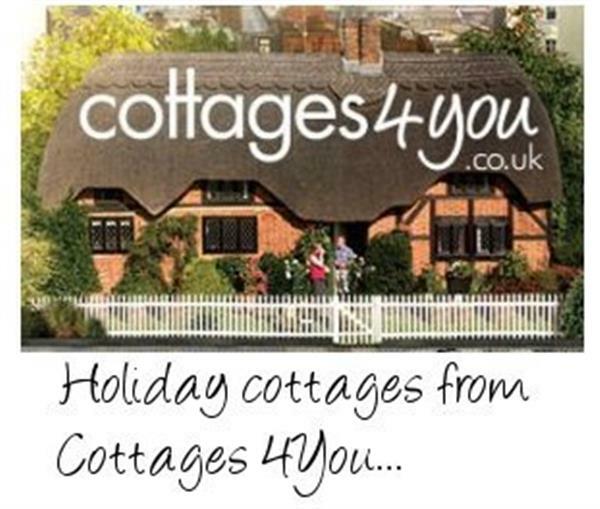 Do you want to holiday near Rose Lodge (UKC2736), you can see other cottages within 25 miles of Rose Lodge; have a look to find your perfect holiday location.